Experience the seductive powers of The Scent Private Accord for Her Eau de Parfum from Hugo Boss. The sensual and confident perfume opens onto top notes of fresh, sparkling Mandarin to uplift the senses before moving into a deeper heart of Osmanthus to captivate the spirit. 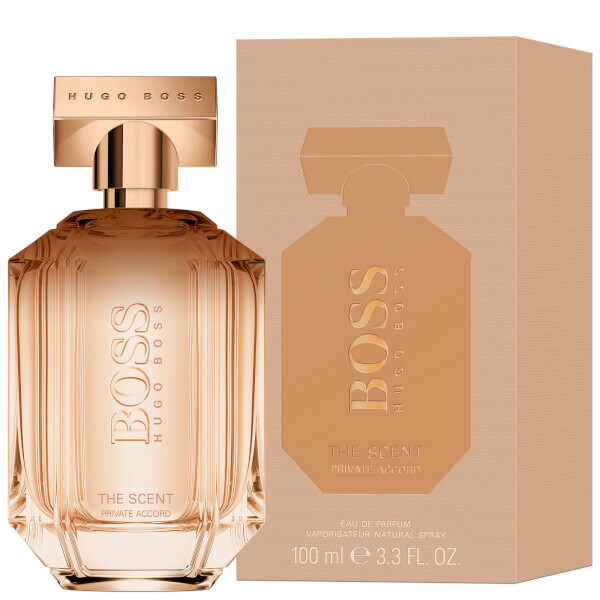 A warm base of Dark Cocoa and Tonka Bean finishes off the irresistible fragrance. Housed within a faceted amber glass bottle with a gold-toned cap. Base Notes: Dark Cocoa, Roasted Tonka. 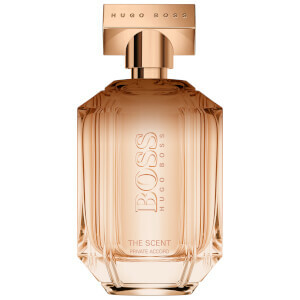 Spray on pulse points around the body: neck, décolletage, wrists, ankles to increase the longevity of the fragrance.